Mitchell Services Limited (ASX: MSV) is a leading provider of drilling services to the global exploration, mining and energy industries. These services extend across three key drilling divisions: exploration, mine services and underground. Mitchell’s proud history dates back to 1969. Since inception, we have built a reputation for delivering safe, efficient and proactive drilling services in over 12 countries. Our state-of-the-art fleet is currently positioned in key exploration and mining centres throughout Australia including Queensland, New South Wales, South Australia and Western Australia. From these regions we can mobilise to all corners of Australia as well as internationally. 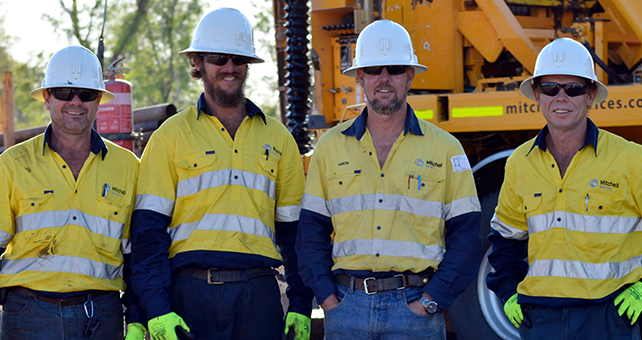 Mitchell is committed to the highest levels of service and safety, with a blue chip client base ranging from the world’s major miners to aspiring junior explorers. We understand that our people are our success. Our personnel are a credit to our business, tirelessly delivering safe and high-quality services to our clients. A primary focus is on supporting our staff in the field. 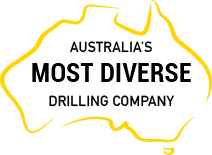 Our motto, “We know drilling”, provides a clear introduction to the diverse, technical and innovative nature of the drilling services we perform at the world’s most prominent mine sites. Today, Mitchell is playing an integral role in the new resources upturn.